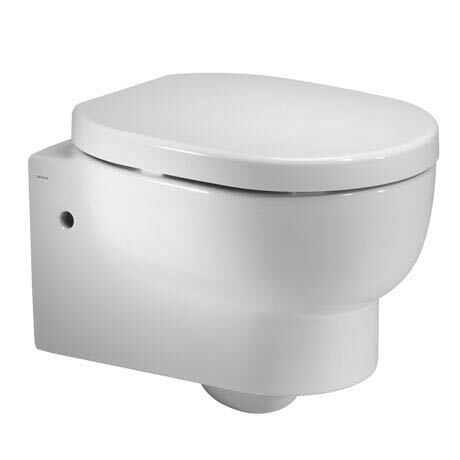 The simple and practical Zest Wall Hung WC Pan & Soft Close Seat is a contemporary styled toilet ideal for creating the illusion of a larger bathroom with its wall hung design. Manufactured from fine fire clay, the WC pan requires a wall hung frame to support the installation which is sold separately. A stylish thermoset plastic soft close seat is included with chrome hinges and a top fix design.